Andy McGhee Rocks The Sandals In Route To 14-Minute PR | Run S.M.A.R.T. Andy McGhee of Southampton, England is about halfway through his 12-week custom training plan from Dr. Jack Daniels and he’s already seeing some big fitness changes. I was not supposed run any events until the Southampton Half Marathon where I was aiming for a PB around the 1:31 mark, however I got roped into a half marathon this weekend and I smashed my previous PB (1:42:24) in a time of 1:28:14. This same event last year was the first time I competed barefoot style. 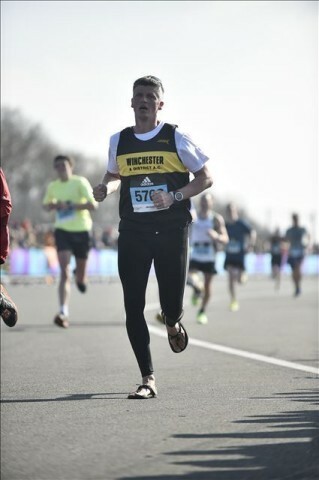 Last year I ran 1:55:30. This year I maintained a 6:44/mile average so I’m very happy with the progress.